Today is a exciting day for me, I've been asked my my crafting friend, Esther Asbury to be a guest designer for CropStop, a fabulous one-stop shopping place for many brands for papercrafters. 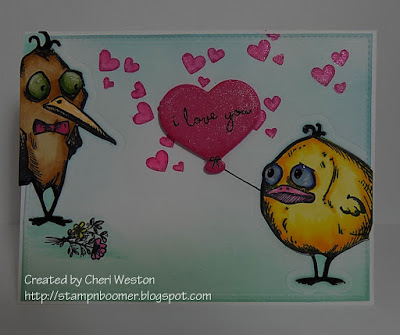 I've had these Bird Crazy stamps from Tim Holtz and Stampers Anonymous for some time and always love using them. Their faces are so funny and I love inking them up and creating with them. I positioned my chosen birds on my MISTI stamp positioner where I wanted them to be on the panel. After stamping them with Memento black ink, I colored them with Copic Markers. Once the coloring was done, I positioned the coordinating die over each bird and die cut them out. I then trimmed the panel with a stitched border die from My Favorite Things and replaced the birds into the negative space on the panel. This gives a lot of dimension to the individual birds. I added a MFT heart balloon die, which was cut out of hot pink card stock multiple times and stacked on top of each other. For a final touch of dimension I added Glossy Accents to the eyes. The sentiment, hearts and little bouquet are all from the Stampers Anonymous "Things/Talk" from Tim Holtz. 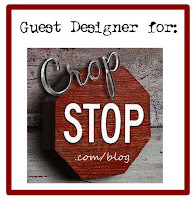 Thank you for asking me to be a guest designer for CropStop Blog. I'll be back next week with another project for you. Cheri, I'm so happy you were able to guest design on the Cropstop blog today! 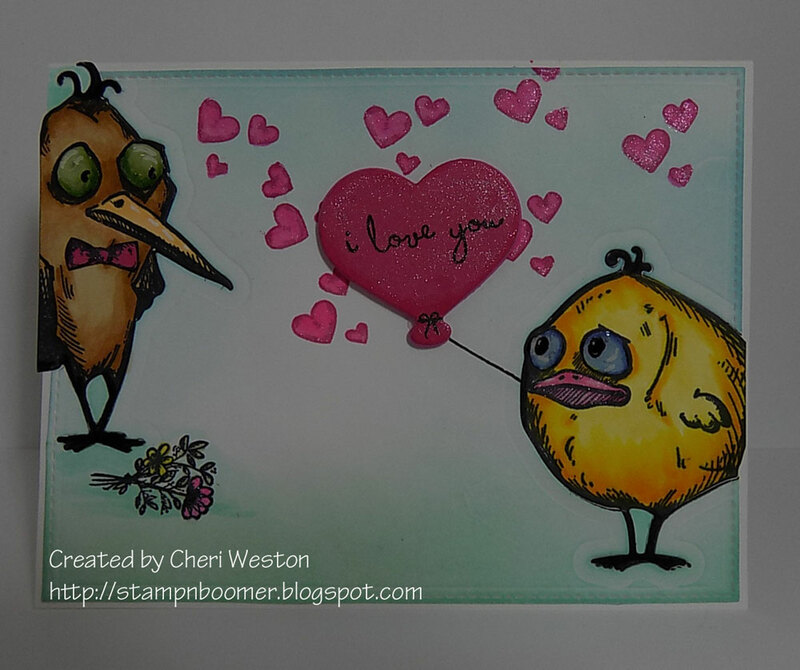 Thanks for sharing this adorable bird crazy card with us! Just perfect as a Valentine! These are too cute - I have these crazy birds too and don't use them near enough. Need to get them out again. Congrats on the guest design gig.